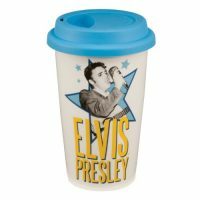 DANCING ELVIS BLUE Sleep like The KingTM in this luxury bed set ensemble. This beautiful designed set will transform your bedroom into a work of art. 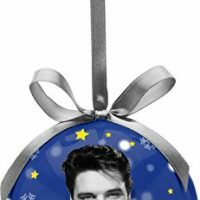 Slip into comfort in this blue suede signature portrait of legendary icon Elvis PresleyTM. Dancing Elvis pillow shams of The King’sTM unforgettable signature swiveling hips complete the look. 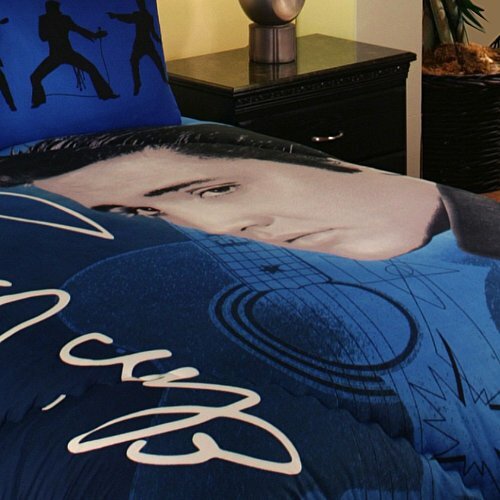 Dress your bed up with the Elvis Presley Home Bedding set and sleep like a legend in comfort and style. 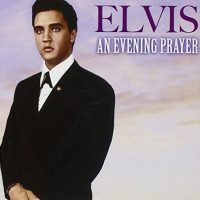 Be the first to review “Dancing Elvis 3 Piece Queen/full Size Set, 1 Comforter, 2 Pillow Shams in Blue” Click here to cancel reply.